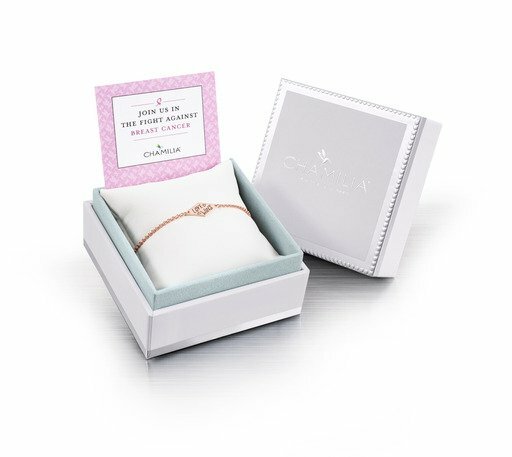 In honor of Breast Cancer Awareness Month, Chamilia (www.chamilia.com), a Swarovski Company, announced that it has created the “2018 Limited Edition Love Wins Breast Cancer Give Back” Soft ID Bracelet in honor of the American Cancer Society’s “Making Strides Against Breast Cancer” initiative. 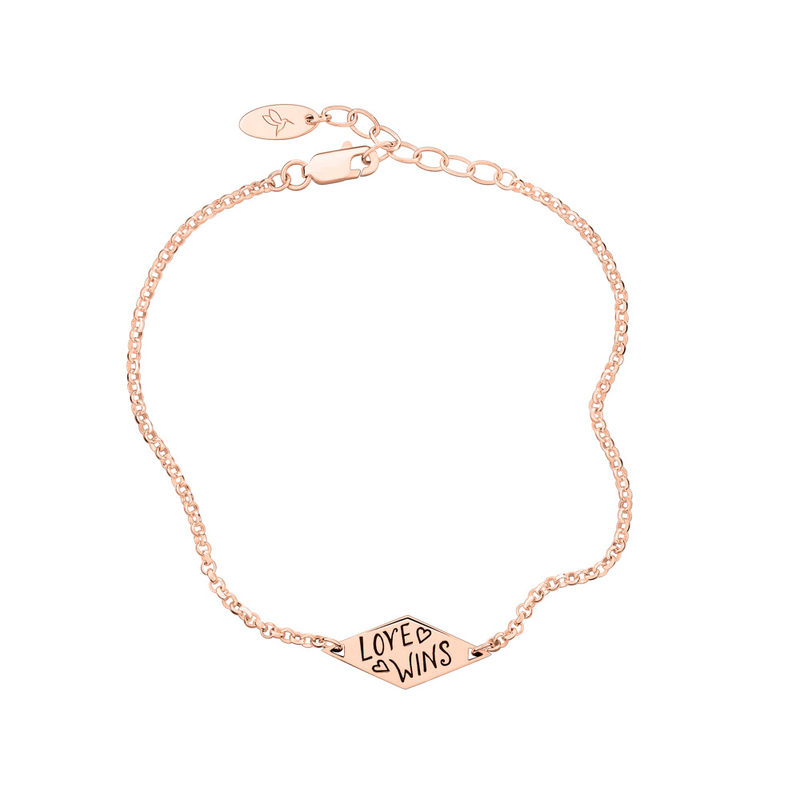 The sterling silver soft ID Bracelet with 14K rose gold electroplating features a diamond-shaped plate with the words “Love Wins,” and is sold in a luxe white jewelry box ($49). Chamilia’s 2018 Limited Edition Love Wins Breast Cancer Give Back Soft ID Bracelet in support of Breast Cancer Awareness will be available July 16, 2018, at many of the brand’s more than 1,000 retail partners worldwide and on the Chamilia website, www.chamilia.com.